It's 04:01 in Herzliya, Israel right now. 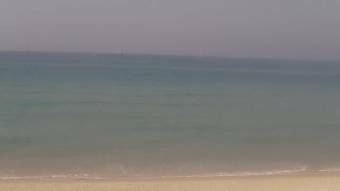 Gazebbo Beach Surf Report Gazebbo Beach HD Cam in Northern Israel. Ramat HaSharon: Weather in Ramat HaSharon, 1.7 miles away. Tel Aviv: Beach View, 6.3 miles away. Tel Aviv: Beach and Marina, 6.3 miles away. Rosh HaAyin: Weather in Rosh HaAyin, 8 miles away. Jerusalem: 360° Panorama Inbal Hotel, 34.1 miles away. Jerusalem: Livestream Western Wall, 34.1 miles away. Jerusalem: Weather in Jerusalem, 34.1 miles away. Amman: W Amman, 66 miles away.